Have you seen the NEW Cheerios yet??? 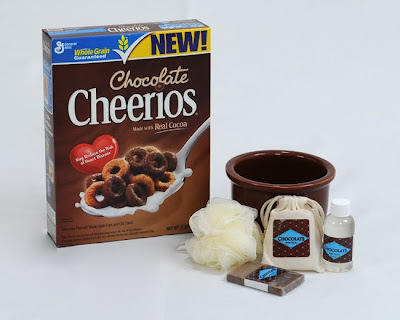 If you LOVE Cheerios and if you LOVE Chocolate then this is the cereal for you! Your taste buds will be delighted with new Chocolate Cheerios-with a perfect balance of whole grain goodness and a delicious touch of chocolate taste in every bite. I was sent a box of the Chocolate Cheerios to try.. one word YUM-O!! 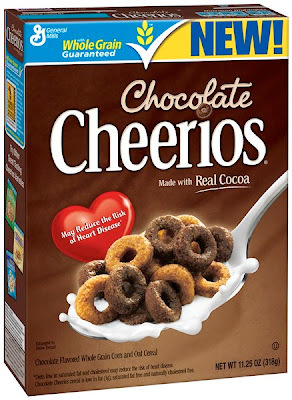 Chocolate Cheerios is low in fat, heart healthy*, has 100 calories per serving, it contains at least 8 grams of whole grain per serving (at least 48 grams recommended daily), and is a good source of calcium and vitamin D. Made with real cocoa, Chocolate Cheerios can help your family start the day off right with a delicious and nutritious breakfast. I felt like I was a kid again.. Chocolate for breakfast, I couldn't believe it!!! I love to snack through out the day and especially in the evening when I get that Chocolate craving... IT get's the "JOB DONE"!!! As some of you know I work at an Aftercare program at our school so I thought that I would see what the kids had to say about the NEW Chocolate Cheerios..
Maggie says: It's REALLY Chocolaty and GOOD! It also is healthy if it's Cheerios. Jamie: It is BUSTING with Chocolate flavor! Gabby: It's got a GREAT Chocolate flavor and it's a Healthy snack. Kyle: It's a GREAT snack. In 4 parfait glasses or clear drinking glasses, layer half of the strawberries, half of the yogurt and half of the cereal. Repeat layers. I have had the opportunity to have my 1st giveaway!!! or twitter name so I can get a hold of the winner..
For a 2nd entry follow me on Twitter @Tillman4 and tweet about this Giveaway.
" 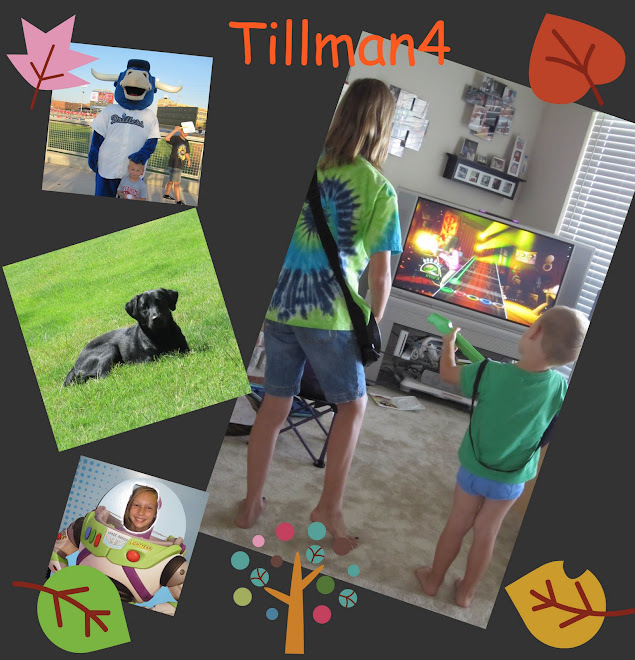 Check out @Tillman4's 1st blog giveaway, Chocolate Cheerios Gift pack http://bit.ly/ax0ync"
The product, prize pack, information, and giveaway have all been provided by Cheerios through MyBlogSpark. Congrats!! DM me your info on twitter and I will get it to the sponsor that will be for filling the win!!! Congrats once again!! 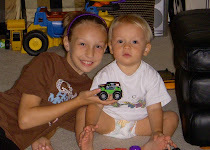 My morning routine is scramble to get kids dressed and out the door! My morning routine involves rushing around to kid DD1 to school (breakfast, potty, brush teeth, get dressed, pack lunch) then coming home to get myself and DD2 ready. On a good day I get some exercise in before I have to take DD2 to school too! :o) Thanks for the opportunity! My Morning always look the same. Logan comes in and says momma. I get hime up and depending on what he wants makes him eggs, cinnamon toast, or if I am feeling like a fun momma a poptart! After he gets done eatting he gets down, dressed, and we go play in his room till 9:30 when he gets to watch chuggington! Everything morning is always the same he cuddles on my lap and loves it! 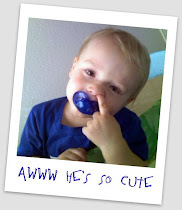 I follow your blog via google publicly. I RT'ed this giveaway @hebrif. My morning routine well it now involves getting baby up, getting him fed, making sure to take my pills and then get me some breakfast. Then usually after a few hours its nap time for lil one. My morning routine is get up, get ds up so he can get ready for school. then I make a pot of coffee, make sure son is moving along. Cereal for the kids, and we're out, take son to school, come home with youngers and that's our crazy morning routine!